This website has been designed to be complaint with University of Toronto's accessibility standards for websites. Much of the website is still a work in progress (as of January, 2017) so we may not have achieved our accessibility goals yet. Please contact Sarah Kavassalis if you run into pages or features that limit your ability to access information. 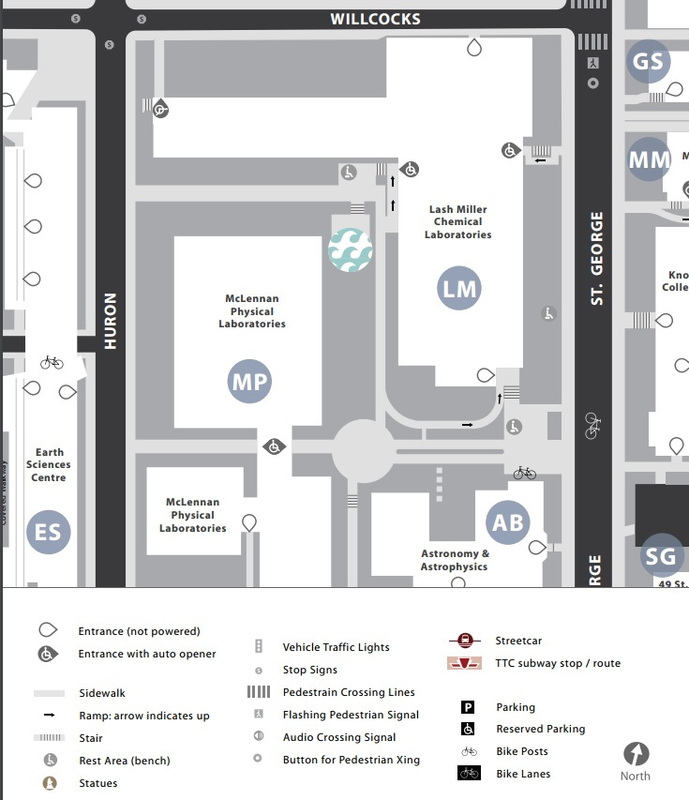 There are five building entrances to Lash Miller Chemical Laboratories, three have power openers. All floors are accessible via elevator. There is an accessible washroom on the first floor. The south entrance, from the parkette, has a ramp but is not power-assisted. Campus & Facilities Planning has been incorporating accessible design within science laboratories and accessible lab features have been added to laboratories in the Lash Miller Chemistry building. See the 2015/2016 AODA Report (pdf) for more details. Accessibility information for individual rooms can be found through Academic and Campus Events. Visit the Building Access Notices webpage for updates and changes to building access. 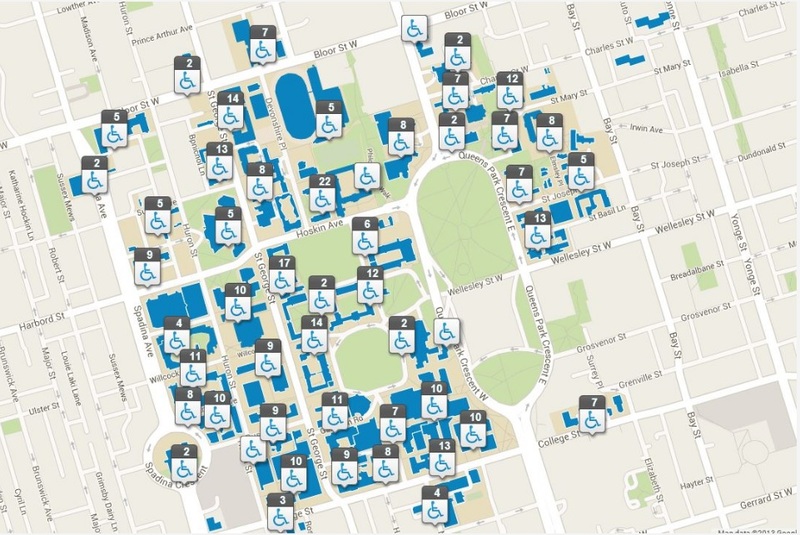 Information on Accessible Parking at University of Toronto Scarborough is available here.